Please note: the pool is now closed for the winter season. The Boddington Pool is open six days a week (closed Tuesdays) from October to March/April, depending on the season. Situated on Pollard Street it features a modern 25m pool as well as a paddle pool and plenty of lawn areas and tables for sitting. Facilities include large change rooms with showers. The paddle pool and lawn are well covered with shade sails; there are pool toys for swimmers of all ages. Please note that the pool is also CLOSED Christmas Day, Boxing Day, New Years Day & Good Friday. Season Pool Passes are available to purchase at the Shire. 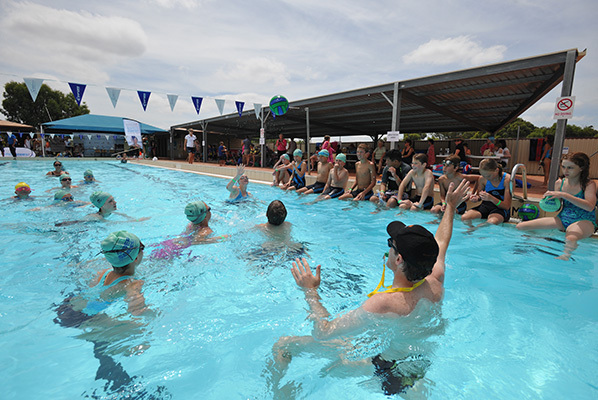 The Boddington swimming pool is managed by Contract Aquatic Services.